Practical advice based on our researchers’ real experiences for scholars working in special collections libraries. 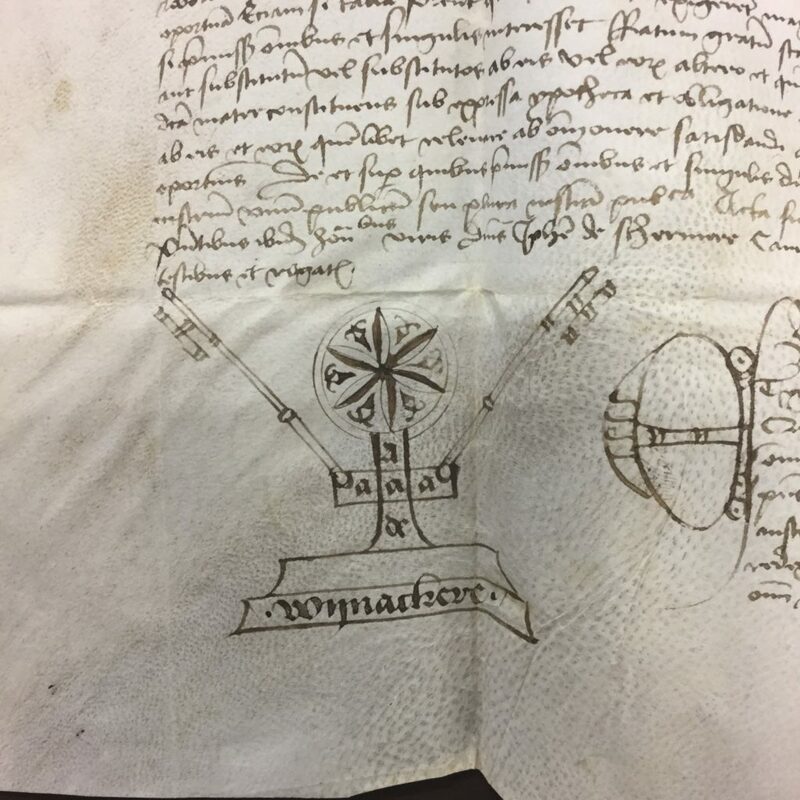 This post continues an ongoing special series of the Notre Dame Medieval Studies Research Blog called “Working in the Archives.” This series focuses on practical knowledge for accessing archives across Europe and North Africa, for making each archival visit a productive one, and for enhancing the quality of life of the researcher during the visit. 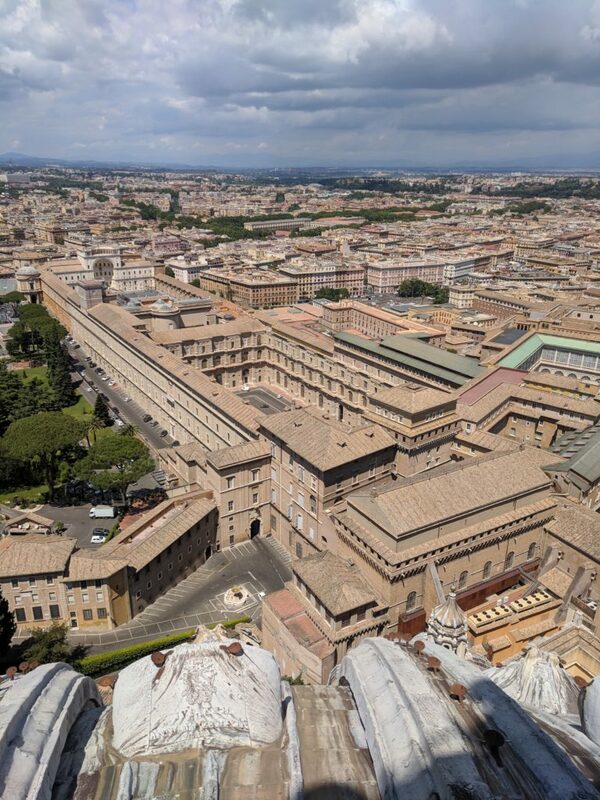 This entry in the series will discuss how to navigate a trip to one of the most famous archives in the world: the Archivio Segreto Vaticano (ASV), or the Vatican Secret Archives. Below, I will discuss what is needed to make an archival visit to the ASV productive. I take each archive in turn, explaining how to get to both archives from the various modes of transit in Rome (bus, metro, walking), what is needed to access the archive, how to search for material, how to request that material, and other essential information needed for a successful research trip. Public transit is the most affordable way to get around Rome and to the Vatican unless staying near the archive. A bus will get you the closest to the ASV, with buses 32, 81, and 590 dropping off at the Piazza del Risorgimento, the stop nearest the Porta Sant’Anna, the entry to Vatican City on its eastern side. If you would like to take the metro, the nearest metro stop is the A-line stop, Ottaviano. There are three metro lines in Rome, with lines A and B intersecting at Roma Termini, Rome’s train station, and lines A and C connecting at stop San Giovanni. A weekly public transit ticket (7 calendar days) costs 24 euros. I found this method the most convenient, as the ticket allows access to both buses and the metro. The ASV website does not say by which gate a researcher to the archive is supposed to enter. As mentioned just above, the gate is the Porta Sant’Anna, which is the gate by which cars enter the Vatican. Once at the gate, you must pass through multiple lines of security, beginning with the Swiss Guard watching the gate. Prepare yourself for an awkward first exchange, as you will not have your research card your first time entering the archive. You must collect it at the archive itself. Do not expect the guard to know English and be ready with a few prepared sentences or a piece of paper explaining the situation. After the first visit, it is a much less stressful experience. After you pass through security, head up the Via Sant’Anna into the Belvedere Courtyard, then take a right. The ASV overlooks the adjacent courtyard, the Cortile della Bibliotecha sitting next to the Sistine Salon. Of all the archives I have personally visited, accessing the Vatican Secret Archives is certainly the most complicated. Before visiting the archive, one must first fill out an application online: http://www.archiviosegretovaticano.va/content/archiviosegretovaticano/en/consultazione/admission-request.html. Before filling out the application, the researcher must have a detailed research plan—what holdings one plans to consult and the length and dates of the planned visit to the archive must be known before approval is granted. The application itself contains a Collection Index by which you can identify the desired collection, however, for those not confident in their Italian, navigating it will perhaps be difficult. 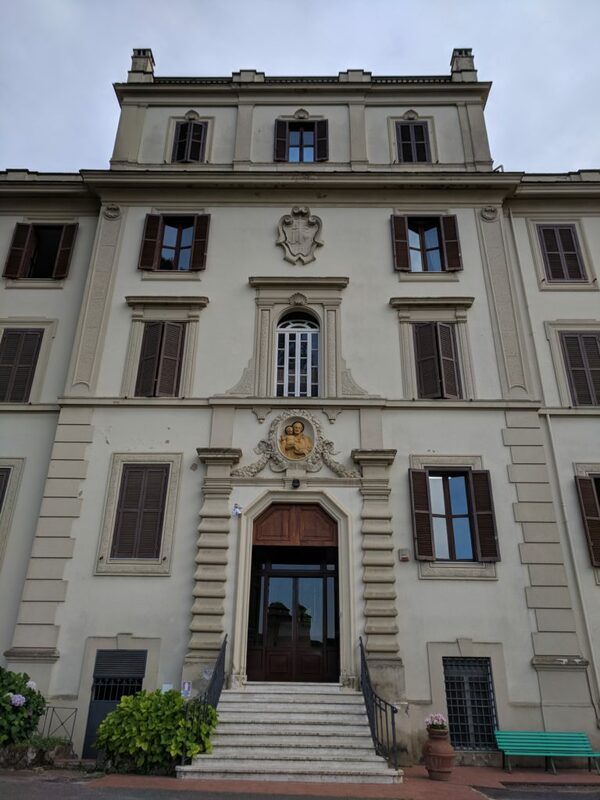 I would recommend consulting Francis X. Blouin’s Vatican Archives: An Inventory and Guide to Historical Documents of the Holy See as a supplement to the application process. Finally, an affiliation with a university and a letter of introduction are also both required. The approval process for access for an ASV card takes less than a week, and in my experience, was handled and approved on the same day. After your research plan and topic have been approved, the ASV will prepare your card for pickup from the archival reception counter. The ASV does not send you your research card in the mail! You must first go to the archive to get the card, and subsequent visits pass much more smoothly. Additionally, while it is always nice to dress professionally while conducting archival research, there is an actual dress code for researchers in the Secret Archives and its subsidiaries. Dress clothes are required, and I personally wore a blazer, although it is not specifically mandated. Be prepared for several barriers to effective archival research when working at the Vatican Secret Archives. First, you cannot take photos in the Secret Archive. While unsurprising considering the nature of the material, the ASV also does not allow consultation of more than 5 archival items per day (3 in the morning and 2 more in the afternoon). Furthermore, photocopies of archival material, digital or print, are extremely expensive. The archive charges a flat fee of 8 euros to scan any archival item. On top of this flat fee, the archive charges 2 euros per page for the first hundred pages scanned. After the first hundred pages, however, they cost .80 cents. So, were I to request a single scanned page, it would cost me 10 euros. Two pages would cost me 12 euros, and so on. Scanning a page from two different archival units would cost 20 euros. If applying for grants to research at the ASV, I strongly encourage you to factor in this cost into your grant applications. As a final note, the ASV closes at the end of June and reopens in September, leaving no room for scholars or researchers planning to visit in the later summer months. This information is readily available, but it is still an important thing to consider in planning your trip. One of the nicest parts of conducting research in Rome is the abundance of good food and good coffee to be found almost anywhere in the center of the city. There are many little coffee shops and restaurants right next to the Porta Sant’Anna, although they are expensive and crowded. If you don’t mind a little walk, there are cheaper (but still good!) restaurants and coffee shops south of the Vatican, along the Via Aurelia and the Via di Porta Cavalleggeri. 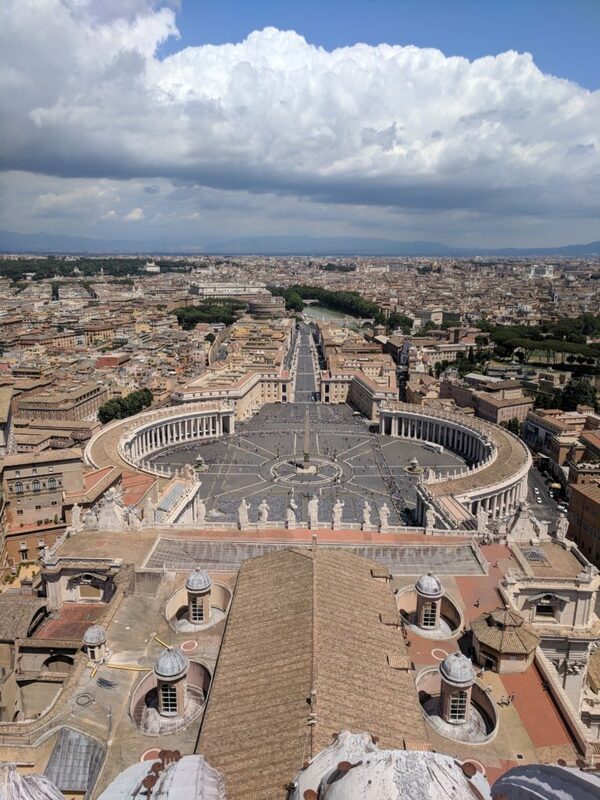 Regarding places to stay, Air B&B and the like can be quite expensive in the center of Rome and near the Vatican, especially if you are traveling alone. A financially sensible alternative is to stay in one of the many monasteries located near the Vatican. Many of these are populated with practicing monks and nuns, providing a much different experience than a normal hotel or B&B. I stayed in the Santa Emilia De Vialar, about a 20-minute walk from the Vatican gates. Francis X. Blouin, Vatican Archives: An Inventory and Guide to Historical Documents of the Holy See (Oxford: Oxford University Press, 1998). 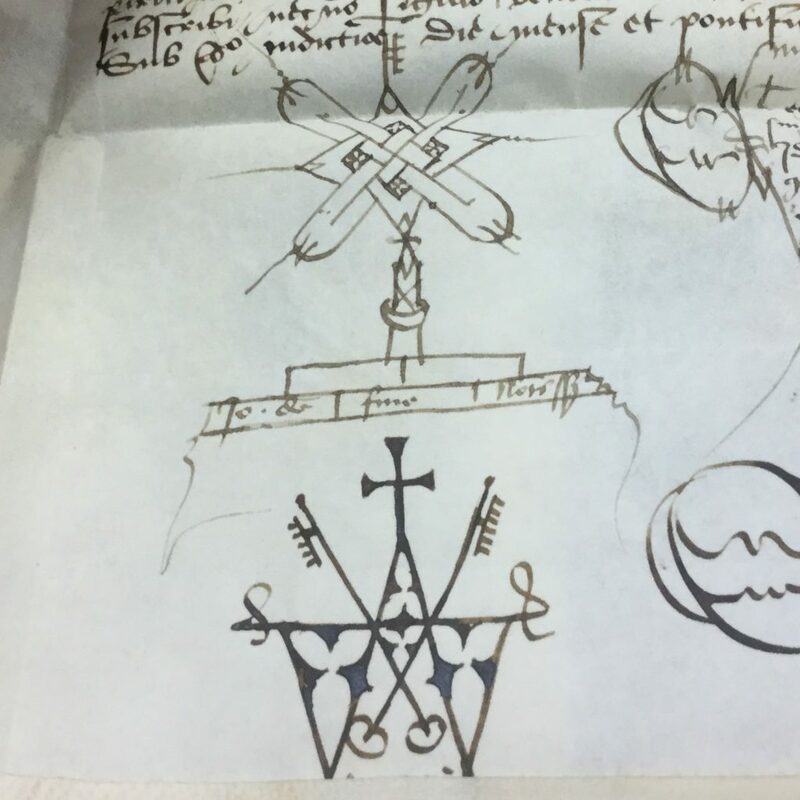 This post contributes to our ongoing special series, “Working in the Archives.” Previously, our bloggers have explained the archival procedures in Morocco and in France. Today, I will discuss some strategies and tips to make a trip to the The Rijksarchief te Gent in Belgium a productive one. 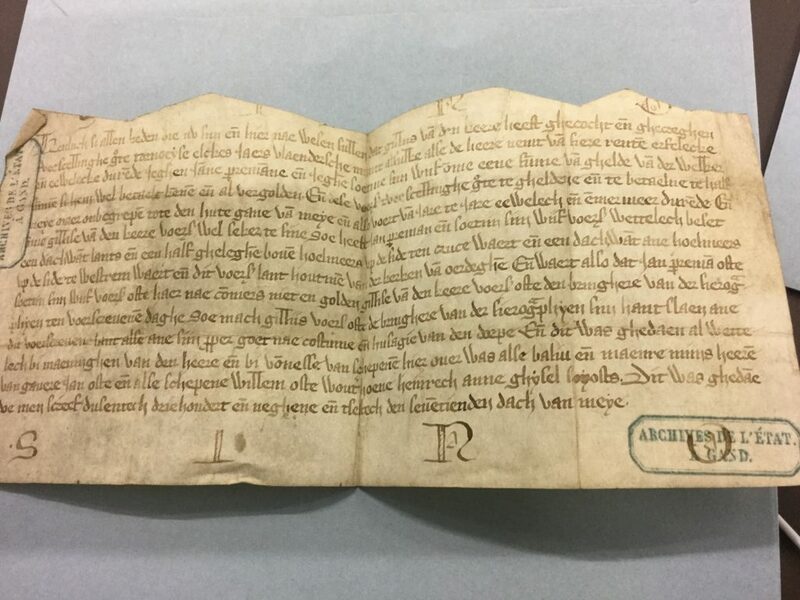 The State Archives in Gent is one of the major depositories of medieval manuscripts in Belgium. I resided and researched in Gent for nine months and hope this blog will help scholars who are traveling to Gent, to the Rijksarchief, to complete research in a short amount of time and with limited knowledge of the city. Below, I will discuss the practical knowledge needed to make an archive visit productive: how to get to the Rijksarchief from the train station (Station Gent-Sint-Pieters), what is needed to access the archive, how to search for material, how to request that material, and how long the material takes to arrive. Additionally, I will mention some quality of life information- a good place for lunch, for coffee, and for dinner and a drink after a long day in the archive. The train to Gent from Brussels Airport (BRU) takes either an hour or an hour and a half, depending on the available trains at the airport when you land. One can take any train going to Brussels Central and switch trains there to arrive faster. Train travel in Brussels is quite easy, with train times and destinations presented in Flemish, French, and English (most of the time, but not always). Upon arriving in Gent-Sint-Pieter’s, there are three easy ways to get to the Rijksarchief- tram, taxi, or by foot. Taking a taxi in Gent is a bit pricey, so if one is on a budget, taking the tram or walking is the better option. There is a tram that runs regularly from the front of Sint-Pieter’s Station. It is on the Red Line (1) that goes straight into the city center. The stop on the Red Line next to the Rijksarchief is called Verlorenkost. The stop is one street before Bagattenstraat, the street on which the archive is located. To walk from the train station, one will want to follow the same path as the tram: first, take Konigen Elisabethlaan away from the station; after about a quarter of a mile, bear to the left onto Kortrijkseestenweg; remain on this street through a major intersection. The street changes in name to Kortrijksepoortstraat; continue on this street until you reach Bagattenstraat on the right, and the archive is the third building on the left. It is a large white building. To access the material in the archive, one needs a research card (Lezerskaart). One can spend 5 euros for a weeklong visitor’s research card, or one can spend 20 euros for a yearlong card. You must show your personal reader’s card at every visit. It can be purchased on-site: the annual card gives access to all the reading rooms of the State Archives of Belgium. 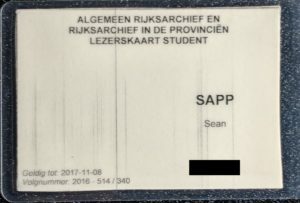 If one has a student card from the University of Gent, the card is half price. One can search the Rijksarchief online at arch.be/. However, many of the inventories of the collections held in the archive are not online, and can only be consulted in-person. The inventories are shelved on the second floor in the reading room. To fully understand what the inventories and search tools say, one needs to have some grasp of Dutch. Most of the finding tools are only in Dutch, although one can ask the staff for clarifications and assistance. At minimum, bring a Dutch dictionary, as there is no Wi-Fi at the archive to look up words and phrases online. To request a manuscript, one can email the archive a day before to have the material ready in the morning. Otherwise, you must request them in person. The manuscripts are brought to the reading room on the top of every hour, so plan your time accordingly. In terms of walkability, Gent is a very manageable city. While it only takes about 15 minutes to walk to the city center from the Rijksarchief, there are nearby cafes and restaurants that are of excellent quality and affordable. My favorite spot near the archive is Vooruit- a restaurant at the other end of Bagattenstraat. It has good food at a good price, with a daily special every day. Vooruit also has excellent coffee. For an afterwork drink or game of pool, turn right out of the archive and go two buildings down to Kaptein Kravate. 1. Be aware of digital resources that will make your research and archive visit easier. 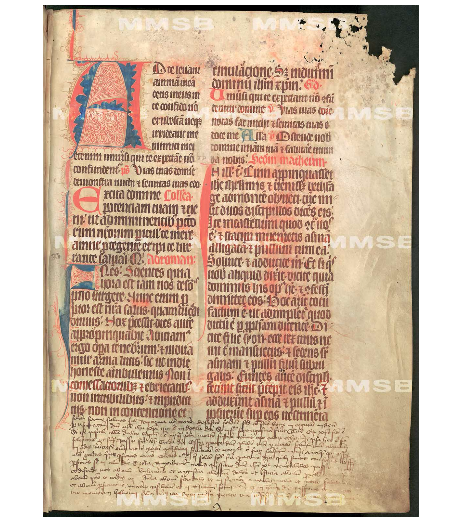 Monasterium.net is a virtual archive of digitized monastic charter documents from archives throughout Central Europe. The “Find” option allows you to search by archival location, while the “Search” tool allows you to pull up documents by keywords like monastery name. 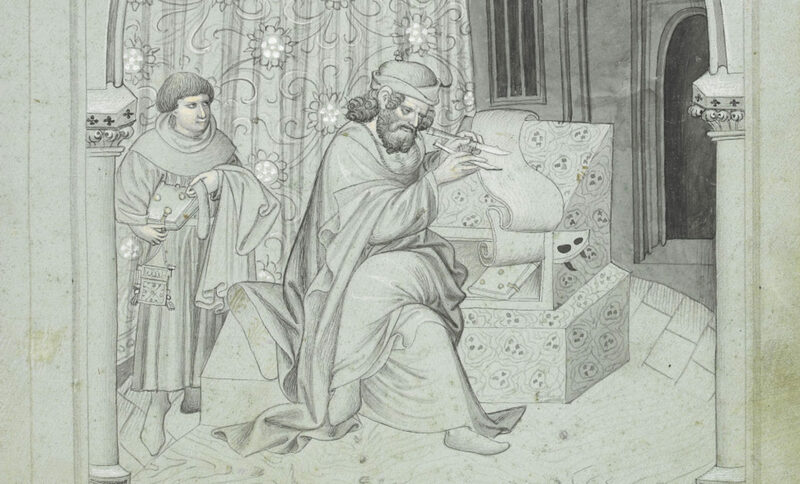 A second valuable digital resource is Prague-based manuscriptorium.com. Sign up for free as a user. Search through the database for manuscripts and organize your favorites in research folders of your creation. Manuscript entries vary from basic catalog description to full digital facsimiles. Check the site for participating libraries, as the database continues to expand to other areas in Europe. Missale monasterii Chotěšoviensis, XIV C.3 Národní knihovna České republiky, Prague, fol. 6r. This work is licensed under a Creative Commons Attribution-NonCommercial-ShareAlike 4.0 International License. 2. Be prepared to communicate in languages other than English. Regardless of whether or not you used it to arrange your visit, security personnel and archivists on site don’t always know English. Have a list of your requested documents handy and the correspondence granting you access printed off to streamline your processing time. And don’t forget your passport! 3. Do not count on the use of a camera or printer. If photos are not allowed, request that the archive provide images for you (you will likely pay a fee). 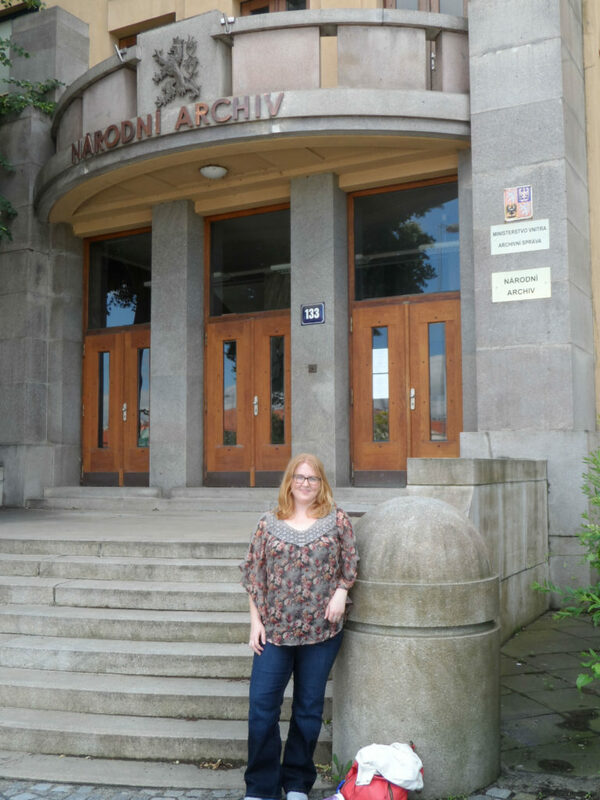 Among the archives I found most photo-friendly were the Moravian Provincial Archives in Brno (Moravský Zemský Archiv) and the Czech National Archives in Prague (Národní Archiv)–I faced no photo restrictions at these sites. The Austrian National Library (Österreichische Nationalbibliothek) will allow printing of microfilm documents and some photography of sources depending on the items you are consulting. 4. Getting around Central Europe is relatively easy with pre-planning. Trains and buses are inexpensive and will get you reliably from A to B. For busing between cities I recommend Student Agency, which travels all over Central and Eastern Europe. 5. I’ve had the privilege of visiting several outstanding archives and research libraries around Central Europe; I will recommend one in particular. The Moravian Provincial Archives in Brno is a modern and active location. The atmosphere is airy, well-lit, and professional, and the archivists on duty are extremely helpful. I had no problems arranging my visits in advance, and archivists communicate in German if you do not have sufficient Czech. Local transport can be a bit daunting as the archive is out of the city center, but it is doable. Acquire a city bus ticket at any of the yellow kiosks (Select one 60-minute ticket for 2 “Zones”. This includes a free transfer. Don’t forget to validate your ticket once you enter the bus.). From the main train station, you’ll get to the archives in about 30 minutes. Google Maps is equipped with adequate route planning capabilities; there are several bus lines available. 6. Be aware of your resources back home. Despite making multiple attempts to do so, I was unable to see a few manuscripts pertaining to my dissertation housed in a rural Austrian monastery. Upon returning to the U.S., however, I was able to access microfilm copies of the manuscripts in question at the Hill Museum and Manuscript Library in St. Joseph, MN. The large-scale effort to photograph manuscripts housed in European libraries began in Austria in 1965 and continues to this day. The newly-renovated Austria/Germany Study Center is a lovely facility, and the staff is eager to work with scholars pursuing research on manuscripts in the collection. Benedict of Nursia, The Rule: from The Rule of Saint Benedict, trans. Cardinal Gasquet (London, 1909), Ch. 58.